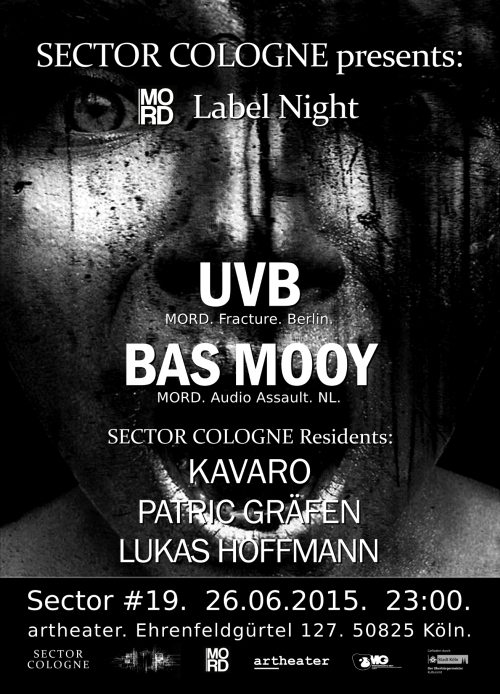 After this unique night at Sector #18 with Shxcxchcxsh live next we present a MORD Records Label Night at Sector #19 with label owner BAS MOOY from Rotterdam and french Newcomer UVB from Marseille/Berlin. Fully supported from our Sector Residents KAVARO, PATRIC GRÄFEN and LUKAS HOFFMANN. You should not miss! This last Sector before a summer break will get massive! 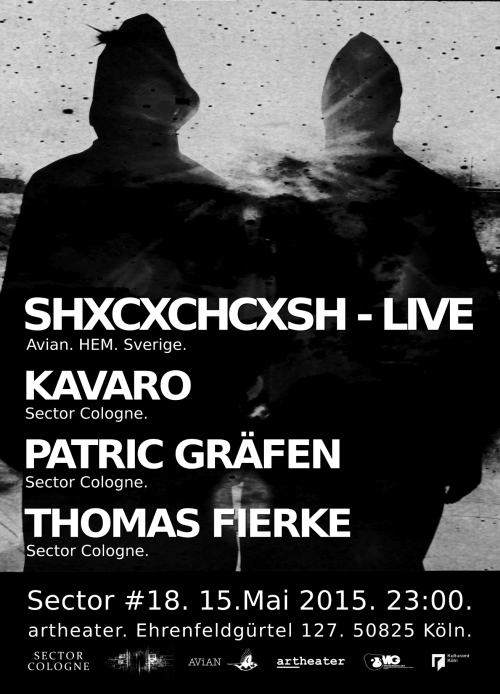 Sector #18 with SHXCXCHCXSH – LIVE. 15.05.15 Artheater Köln. Sector #18 with a Live Set from the swedish duo SHXCXCHCXSH, know for their massive releases on Shifted’s AVIAN imprint. Additionally we welcome our new resident dj Patric Gräfen alongside the Sector residents Kavaro and Thomas Fierke.